To discuss the role of the organizational actor in the process of social transformation in territories as a promoter of social gains and responses is what this chapter is all about. The discussion was carried out through theoretical landmarks on social innovation, and an empirical study in the articulation of the semi-arid (SAA) organization, which is aimed at creating conditions for coexistence with the most arid region of Brazil. Results show that the organizational actor plays the roles of enhancing the society capacity to act, to create new roles and relationships with the other actors, and to promote access to resources, thus enabling family farmers to better meet their own needs. It is concluded that the social innovation initiative studied is characterized by its dissemination in sync with specific actions articulated in a network and adapted to the contexts, with the organizational actor as the pivot and representative of the paradigmatic transition. Social innovation initiatives derive from the awareness of the members of a particular territory in a space marked by economic, cultural, environmental and social challenges where traditional development models, with economic bias, fail to satisfy the basic needs of society. Thus a paradigmatic shift emerges from the social relationships built between members of society, which may transform the territory into a space of potentialities, articulations and mobilizations; a social learning ecosystem that can shape alternative responses in relation to social challenges, which are decisive for local development (Maccallum, 2009; Gabriela, 2012; Moulaert, 2013) in key sectors, such as health, education and social assistance. Social innovation initiatives promote social transformation through the creation of new economic objectives, the regulation and protection of the environment, the decentralization and cooperation between involved actors, as well as the development of new roles to be represented in the political sphere (Cloutier, 2003). In the process of transformation of society, actors become participatory subjects in proposing specific policies aimed at changing the social, economic, institutional, ecological and cultural imbalances that they face, enabling new opportunities for human development (Klein, Fontan, Harrisson & Lévesque, 2012); supporting the emerging of smart territories in line with Timisoara’s Declaration; and promoting the engagement, cohesion, well-being and development of communities for social learning ecosystems (ASLERD, 2016). The “social” aspect of this process involves key dimensions that must be examined simultaneously, so that the level of social progress can be verified. Those dimensions include material standards of life (income, consumption and wealth); health standards; education; personal activities, including work; political participation and governance; connections and social relations; environment (current and future conditions); insecurity, of an economic and physical nature (Stiglitz; Sen & Fitoussi, 2009). In the study of social innovation, it was possible to identify the organizational actor, often represented by civil society organizations, as one of the key elements in the development process. Taking into account that the organizational actor has a prominent role along the process, from the beginning until the consolidation of social innovation initiatives (Correia; Oliveira; Gomez, 2016), it is necessary to comprehend the factors that account for the prominence of this role in the process of social transformation. It is to be interconnected with the structuring of new relations among actors involved and in the formalization of networks or partnerships and in the ways through which the chosen path of social innovation allows for gains and responses to social needs. 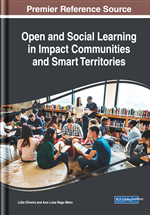 In view of what has been presented, this chapter aims to analyze the role of the organizational actor in the process of social transformation of smart territories as promoter of gains and social responses. Organizational Actors: They represent social actors in the articulation to generate possibilities for access to public policies and in the responsibility of legitimizing themselves by the state. Social Transformation: Are the results achieved by a community that contribute to a social change, thus achieving better results in the development of everyday activities, involving a change of attitudes and behaviors by all the actors involved. Social Gains and Responses: Reflects on social inclusion and welfare of individuals and communities through employment, education, health, consumption and/or participation for the creation and implementation of solutions to the problems of the community. Social Innovation Initiatives: Alternative way of dealing with problems provoked by movements concerned with social problems, creating a new paradigm based on initiatives that generate new forms of social organization and offer new instruments for the design of a new society. Family Farming: Agricultural production system focused on small rural producers. The system is regarded as a livelihood for rural families, constituting family production units, based on polyculture and animal breeding, generating development of peasant economy in the Brazilian semi-arid. Socio-Political Gains: Strengthening civil society by mobilizing and involvement of the population of the region so that new political practices are established, enabling the technological solutions of adaptation to be within the reach of those who need it. Brazilian Semi-Arid Region: Geo-political region localized in the northeast of Brazil and characterized by strong heatstroke, high temperatures beyond low and irregular rainfall indices, which reveals its tendency to be a region highly vulnerable to droughts. Territorial Development: Is the result of articulation between the actors that combine process of planning, implementation of the public policies and self-management initiatives from the civil society looking for dynamizing and strengthening the potential of the territory.